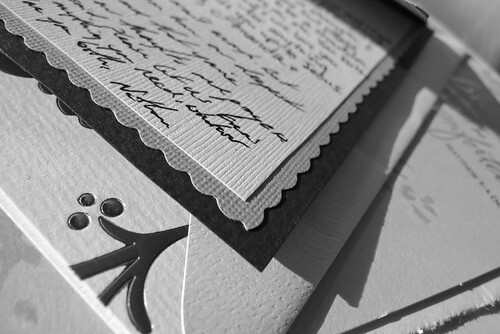 This post was originally published in 2012 at my old blog, and I'm bringing it back as part of the UPLIFT series for parents who've lost a baby and are ready to take responsibility for their own grief. I originally wrote this as a guide for friends and family of the bereaved, but it is an equally good resource for the bereaved themselves. I hope that this guide inspires ideas that will serve you in honoring your child[ren] and healing (and treating!) yourself. Enjoy, and much love. In my experience, the holidays can be a difficult time. Between the pressure to buy the perfect gifts, to cook the perfect meal, and have the perfect celebration filled with perfect feelings, expectations and emotions are running high. And that's for those whose holiday table isn't missing a place. Factor in the absence of a much-loved and much-wanted child . . . and, well, the holidays can feel downright dismal. Last year, Christmas fell about a month after Eve died. Suffice it to say -- I was not looking forward to the holiday. I did everything I could do avoid any and all Christmas cheer, but my husband and I did visit family. When the time came to open presents, I got the best gift ever. My six year old niece, under her own power and with her own money, had donated to the Ronald McDonald House in Eve's memory. And let me tell you -- that recognition of Eve's absence, not to mention the beautiful and extravagant generosity of my niece, meant everything. So I got to thinking about what other gifts might help fellow grieving parents enjoy the holidays. And here's the result -- a list of beautiful gifts for bereaved parents that will uplift and, more importantly, offer that precious recognition of the little ones lost. 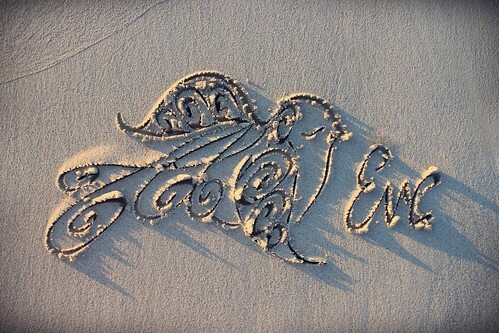 Carly Marie offers comfort to fellow babylost parents by drawing their names in the sands of Australia's beaches at The Seashore of Remembrance. Her exquisite sand drawings cost between $6.00 and $20.00 AUD. Carly Marie has a variety of different types of drawings to choose from -- from names in the sand to Christmas butterflies to peace doves like the one pictured above. I love collecting the different types of sand drawings for Eve. Personalized jewelry is a great way to remember babies gone too soon. I purchased this particular necklace from PatriciaAnn Jewelry Designs, and it has been very comforting to wear. I have since received other pieces of jewelry that recognize both of my children, and I cherish every one. 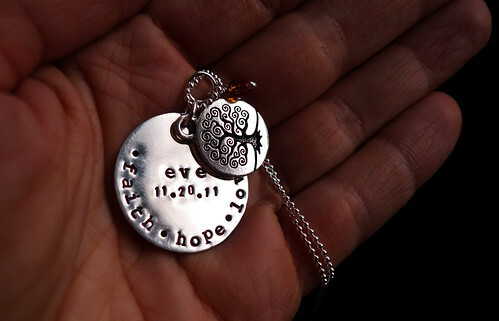 Held Your Whole Life also provides free remembrance jewelry for bereaved mothers. While as an artist I may be biased, I think that artwork makes a great gift. Some of the bereaved mothers that have purchased prints of my work have described it as soothing, healing, and calming -- all of which are so important to the grieving, especially around the holidays. I offer pieces that are specifically about loss and grief as well as many other uplifting originals, prints, and cards like the image above. 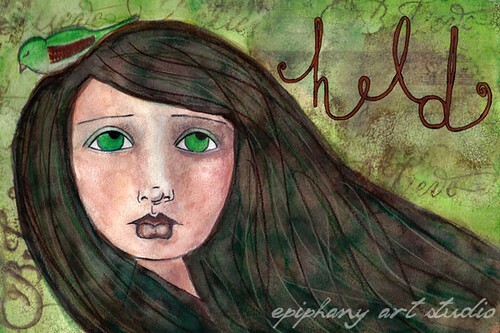 You can check out my artwork on Etsy here. Beyond Words Designs is another great artist to purchase loss, pregnancy, and family pieces from, as well as handmade baby books designed for miscarriage and stillbirth mothers. 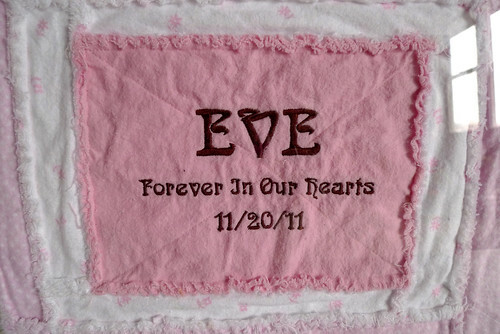 Any custom remembrance items, either handmade by you (as this little quilt was, given by a friend on Eve's first birthday) or purchased, are always a huge blessing. Some of my favorite online shops that provide such items are Somewhere Over the Rainbow and Baby Boards. 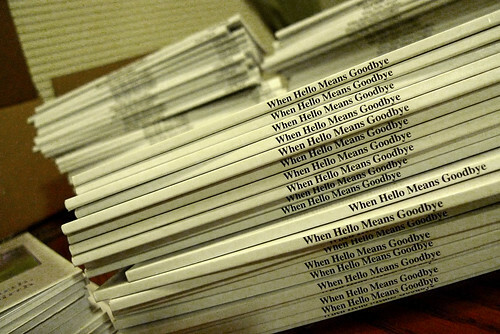 There are many wonderful books written on loss and grief, and some specifically on the loss of a child. I know that such books have provided me with much needed comfort and support and ideas on ways to cope. Some of my favorite loss books are A Grace Disguised by Jerry Sittser, I Will Carry You by Angie Smith, and A Grief Observed by C.S. Lewis. You can find more book ideas on my Goodreads page. Music has similarly been a huge gift to me. It has helped me to cry when I needed to and couldn't, to worship when I wanted to but didn't have the words, and to be joyful when it was time to be joyful but I couldn't muster up the courage. My two favorite albums that convey the reality of living simultaneously in hope and sadness are You Deliver Me by Selah and Beauty Will Rise by Steven Curtis Chapman. I always feel like a calendar is a can't-miss gift. Beautiful and useful, how can you go wrong? 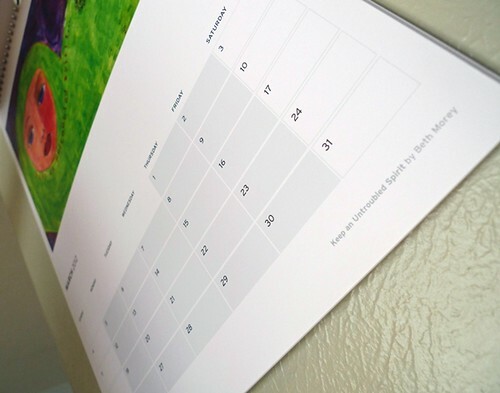 The Lost For Words calendars from Carly Marie and Franchesca Cox are also a beautiful option, filled with amazing photography and quotes from bereaved parents. 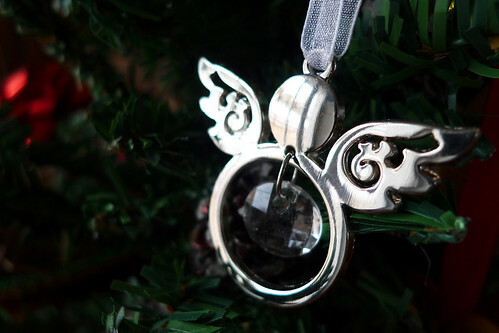 Last year a friend gave me a special angel ornament in memory of Eve. It was small, simple, very beautiful -- and meant the world to me. A bereaved mother's greatest fear is that her child will be forgotten, and a special little ornament or decoration in memory of the one that is lost is such a great gift. There are so many wonderful non-profits out there working for babyloss awareness, support, and prevention. I think that a donation ton one such charity in the name of a baby gone too soon would make a very sweet present for a bereaved parent. Some of my personal favorite organizations are Sufficient Grace Ministries, the Sweet Pea Project, Molly Bears, and Cora's Story. Find the rest of the UPLIFT series here.